The most bizarre, the most Tarantino-esque Chinese restaurant we have ever visited is located in Hillyard. Really: There are so many odd things going on at the Red Dragon that it reminds us of something from a movie, and a good movie at that. It takes us to fictional places, the ones created by directors like Tarantino and Lynch. Red Dragon does, of course, have many claims to fame: For example, it has been around since 1946, and it has a good following among the vegetarian and vegan crowd. On face value there's nothing odd about either of those, but the mix of clientele here really is something else. You have the hipper-than-thous, and you have the... less than highfalutin... segment of Spokane, each group filling about half of the (well-designed) space each. The real bizarreness becomes clear when the entertainment kicks in. Yes, Red Dragon has entertainment: Belly dancing. That's right, belly dancing. And this is not just your average belly dancing. The dancer actually chit-chats with the guests during her routine. It's odd, trying to eat while somebody is shaking their... everything... in your face, carrying on an idle conversation. "Have you ever seen belly dancing before?" 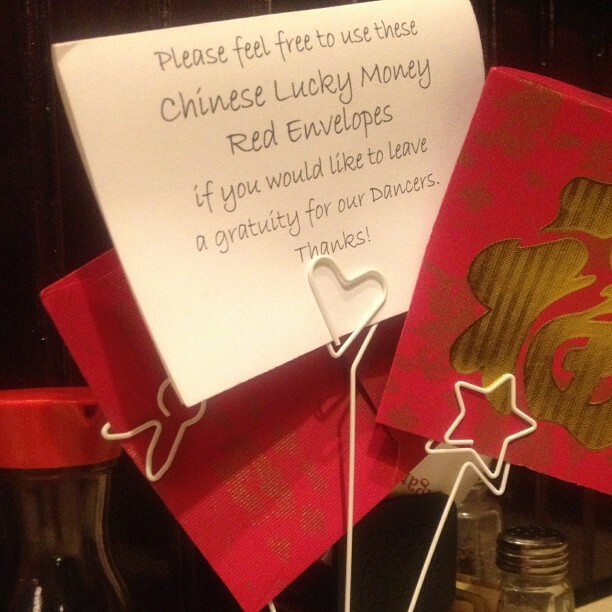 Not in a Chinese restaurant, no. As for the food, some of it is pretty well stuck in 1946 -- I couldn't finish the gloppy egg drop soup -- but most of their vegetarian dishes were actually pretty good. The vegetables seemed to be fresh and well prepared, as in not being soggy. I enjoyed the sesame seed balls, and the fried rice had a good flavor to it. I don't think the sweet and sour ribs will win many awards, particularly seeing they were neither sweet nor sour, but the pork chow mein wasn't too bad. So, while the food has its ups and downs, Red Dragon is worth visiting for its ambiance alone. It's just an odd place, and I mean that in a good way. I can see why it's popular among vegetarians; the selection is huge, and those dishes are definitely the better ones here. Do you recommend Red Dragon? Make your voice heard!